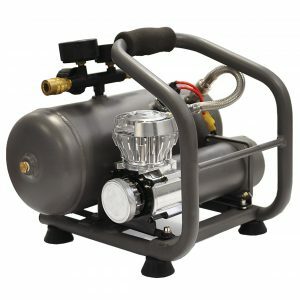 Compressor air stations are designed for fast inflation of car tires, inflatable boats and rafts. 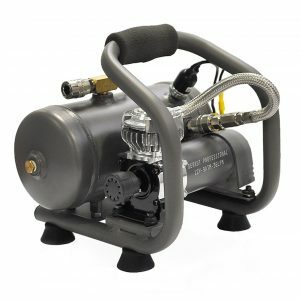 Equipped with flexible armored hose (7,5m) and professional inflation gun with a gauge. Hose is connected to the station by a quick-connector and is powered from car battery via clamps. All pneumatic systems are disassemblable and you can make any professional solution basing on separate components, for example: car beep control or interaxle differential pneumatic lockup.